Before we get started with the review, I have some good and bad news. The good news is that I’m going to start posting Let’s Plays to go along with the weekly Time Waster. The bad news is that it hasn’t started yet. I was actually planning to post a Let’s Play this week, but I ran into some recording issues along the way. My plan is to do all of my Let’s Plays blind. Basically, I won’t have played the game before I record. I’m also working on a schedule for releases. I could do one long video every Saturday, but I’m thinking three videos throughout the week would work better and it’s probably what I’ll end up going with. Hopefully I’ll have this ready to go for next week’s game. Not everyone is is easily intimidated, but it doesn’t hurt to try. This week I played Westerado: Double Barreled. This is a game all about a lone cowboy that’s out to avenge the death of his family after bandits attacked their farm. It’s a fairly simple concept, but the game’s world makes it into so much more. Westerado: Double Barreled takes place in an open-world setting that really lets the player stretch their legs out in the old west. This includes visiting an tribe of Indians, having a standoff with an oil tycoon and more. Sure, you need to avenge your family and kill the bandits’ leader, but it would be a shame just to run through the game and do nothing else. 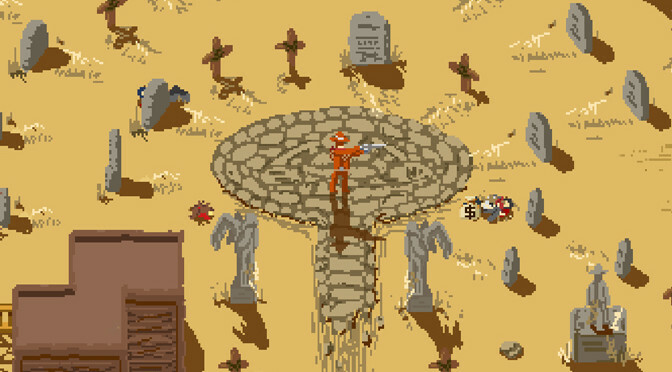 One very unique feature of Westerado: Double Barreled is how it handles gun fights. 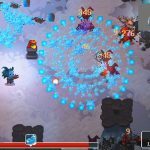 Instead of just clicking like mad to kill enemies, players are expected to be much more careful with their actions. Pulling your gun out is an action, cocking it is another and firing comes after that. A gun has to be cocked every time the player goes to fire. Reloading also requires the player to hit the “R” button for as many bullets as they need to put in their gun. This takes time, and the more time your in a gunfight, the closer you are to death. The qualities of a gun extend beyond fights. 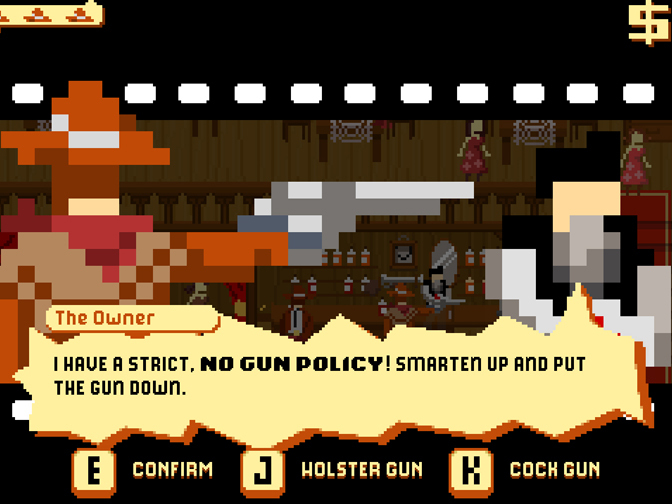 Players can also choose to whip their gun out in any conversation. Doing so can threaten some NPC’s into giving up information or cause them to surrender. Cocking the gun takes it even further and firing will kill them. This whole deal works out well with the game’s bounty missions, which have players running around and taking crooks dead or alive for cash. Another interesting element of Westerado: Double Barreled are hats. Players basically use hats as lives and can carry three on them at a time. They can also pick hats up off of dead bodies and buy them in town. Shooting an NPC until it has no hat can cause them to surrender, or still leave them fighting and you’ll have to kill them. 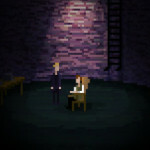 In the search for the man that killed your family, players will have to collect clues about them. This is a really neat feature of the game because it acts like a mystery that the player has to solve. 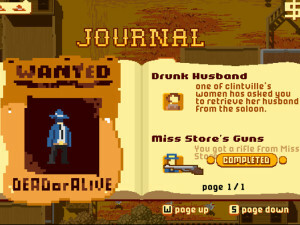 Completing more quests will give the player more information about the bandit, such as what kind of hat he wears, the color of his clothes and more. 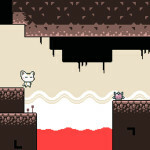 Players use this information to identify the enemy while playing the game and get their justice. The best part is that the murderer is randomly generated on each playthrough. This definitely helps extend the replayability of the game, but I also wish the main story lasted a little longer than two hours. 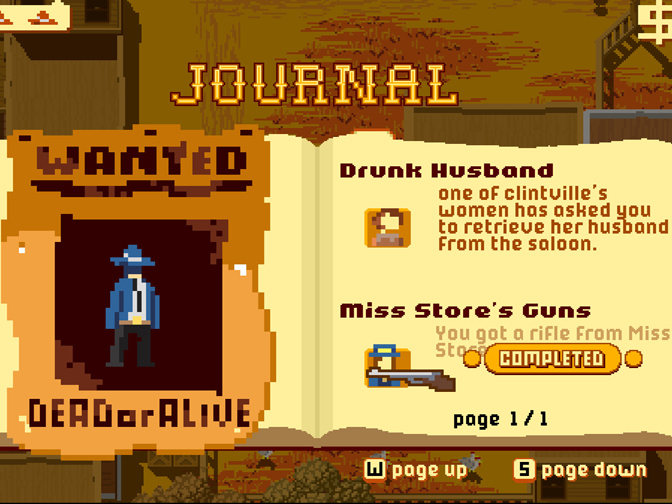 Collecting bounties is a good way to make some quick cash in Westerado: Double Barreled. The graphics in Westerado: Double Barreled are of the minimalist style. However, the game is still filled with detail and has a wonderful atmosphere. There are plenty of people going about their own tasks in town and wildlife can be found just about everywhere. This really helps it feel like an actual living world. The audio in Westerado: Double Barreled is also great. Live music was recorded for the game and it really helps give it that western vibe. Cocking a gun and shooting a bandit, or anyone that gets in your way, has such a satisfying feel to it and that’s largely because of the sound. Overall, I really like Westerado: Double Barreled. 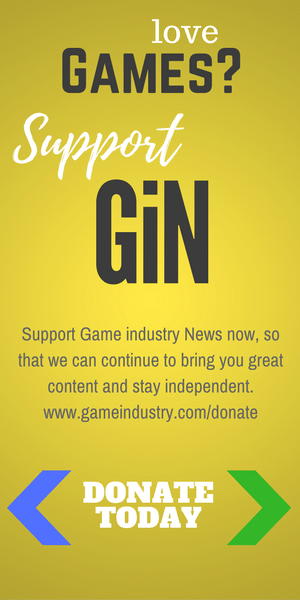 It’s a very solid game that offers a living world for players to explore. It’s also one of the only games I know of that was able to make me feel the weight of a gun without putting some lame peripheral in my hands. It’s $15 on Steam and worth every penny. Westerado: Double Barreled earns 4 GiN Gems out of 5! Previous PostShoujo Saturday: Hitoribocchi no Chikyuu Shinryaku by Ogawa MaikoNext PostIs Xenoblade Chronicles X the Next Skyrim?